You can hop on over there for a complete supply list, but I used all Neat and Tangled stamps and dies. 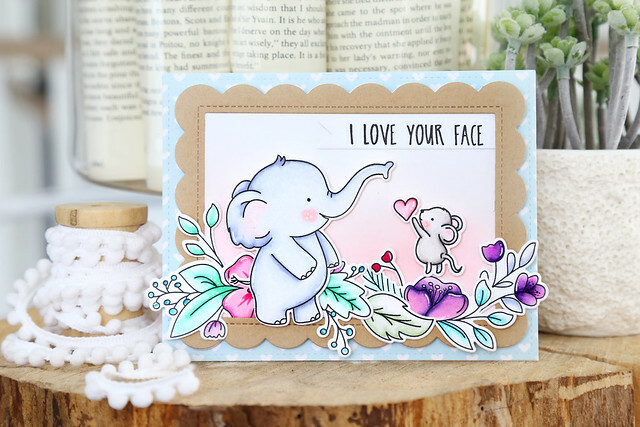 In case you missed my tutorial from a few weeks ago, I show how to remove the swing + girl from the elephant stamp so that you could use her all by herself like I did for this card - click HERE for that tutorial! LOVE YOUR card!!! The critters with the beautiful flowers and the fabulous sentiment!! Perfect!